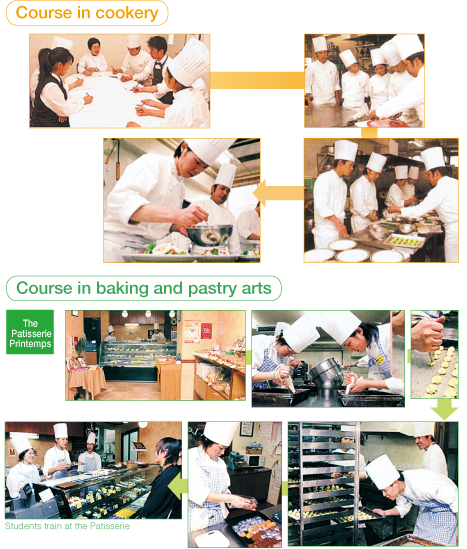 Kagawa Education Institute of Nutrition also boasts a college of culinary and confectionery arts, where students have the opportunity to approach food from a practical angle. The college of culinary and confectionery arts offers students a one-year and a two-year specialty course in cookery, a one-year specialty course in baking and pastry arts. In addition, a special technical course allows students to combine the cookery and bakery and pastry arts courses into a two-year course that produces well-rounded graduates capable of participating in all areas of the food industry.